Online advertising is a great way to expedite new patient growth. Rather than waiting for the long-term benefits of organic rankings, pay-per-click (PPC) marketing ensures instant visibility in search results. The result? Instant access to thousands of prospective patients seeking chiropractic care in your area. Of course, the million-dollar question is, where do you begin? Google AdWords has been around since the turn of the century. About a decade later, an option called “AdWords Express” was introduced. Its purpose was to open the door for more advertisers. Express is a stripped-down version of traditional AdWords that eliminates the need for ongoing maintenance. This is the key benefit Google advocates. It saves you time and doesn’t require experience or knowledge about PPC. When the goal of your practice is to serve patients, Express can seem very appealing. But is it the ideal solution? Running an efficient, localized campaign requires a well-thought-out strategy. A fully optimized campaign cannot be automated. Arguably the biggest pitfall of AdWords Express is that Google makes general assumptions about your practice. And these assumptions can be detrimental to the efficacy of a campaign. Not to mention, your budget. For instance, Express suggests a monthly budget for you. The problem is, no industry is the same. 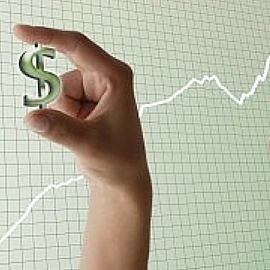 Moreover, a reasonable PPC budget can vary depending on the location of a chiropractic practice. Meaning, highly competitive jurisdictions may require more horsepower. Another critical piece of PPC is targeting. Express decides your audience for you. Traditional AdWords, however, allows you to draw your geographic targeting to a precise radius. This allows you to serve ads only to prospective patients who are within a reasonable distance of your practice. Another concern is query targeting. With Express, you choose your category (i.e. chiropractic), and then Google automatically chooses the keywords your ads will target. This can drain your budget, as you’ll be targeting many inefficient terms that may not cater to your ideal patient. Bid automation may seem like a reassuring approach to running a PPC campaign. However, while Google’s algorithms are sophisticated, they are what they are – computer algorithms. What might be effective for a massage therapist in Cincinnati, Ohio may be much different for a pediatric chiropractor in Dayton, Ohio. Again, Google is making assumptions about your practice. 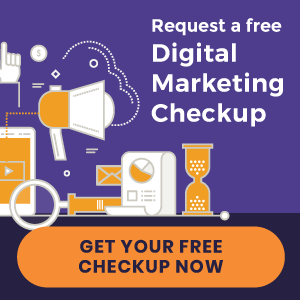 These assumptions could result in you paying far too much per click, or worse, getting clicks from people who aren’t even qualified for your practice. Google does most of this work for you. But it doesn’t have the ability to tie them together in a way that they’ll generate new patients in a cost-effective manner. The main benefit of AdWords Express is usability. It takes a matter of minutes to get your first campaign running. After the initial launch, Google handles it from there. They’ll choose your keywords and they’ll decide how much you bid per keyword. Rather than manually segmenting your ads by country, state, or region, Express automatically calculates who your ads will serve. Ideally, they will only target prospective patients within a reasonable distance from your office. Google will also target your ads to the category you select. So if you are a massage therapist, your ads will be displayed for a broad range of keywords related to massage therapy. PPC advertising requires a good deal of keyword research. Express eliminates this process. No need to invest money and time into keyword tools and analysis. Google adjusts how much you pay per click, in real-time, based on competition and your keywords. Outsource or Do it Yourself? If you’re looking to dive into online advertising, AdWords Express is a simple, do-it-yourself solution. However, in the PPC realm, saving time doesn’t necessarily save you money. Poorly-run campaigns can be costly. If you want to launch a PPC campaign quickly and are more concerned with speed to market, Express can drive local searches for your practice without much time or effort. If, however, you are concerned with efficiency and optimization, ask yourself if traditional AdWords is the better option. Of course, going the traditional AdWords route would require one of two things: 1) You become an expert in the PPC field; or 2) You hire a PPC provider to manage your campaigns for you. If you outsource your PPC efforts to a third party, be sure that your campaigns work in harmony with your other online initiatives. It’s critical that your website syncs with your ad campaigns. How will AdWords help me reach my new patient goals? Do you specialize in the chiropractic field? Do you provide reporting so I can see my return on investment? 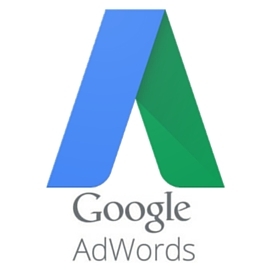 Do you provide ongoing management of my AdWords account? Still considering whether Google AdWords is right for your practice? Learn how an integrated PPC approach is the ideal new patient solution. « New Chiropractic Websites Recently Launched!